One thing you can do to celebrate this wonderful day is to care for a tree as you would your soul. Let the watering and maintenance be a meditation. Sit under it if you can, or next to it, and reflect upon Buddha and the enlightenment. Think upon the diversity of religious paths that also lead to enlightenment. Imagine the roots of your tree extending to connect with all the roots of all the trees in all the world until finally they intertwine with Buddha’s Bodhi tree itself. As the roots are intertwined, think about how all religious and spiritual paths are also intertwined. Christianity, Judaism, and Islam share a common god sometimes called God the Father, Yahweh, or Allah. All three of these religions are called Abrahamic because, by their own scriptures, each tradition stems from the prophet Abraham and his children. Buddhism shares with these religions a focus on self-improvement through connection to the spirit, both outwardly and inwardly. Buddhism is connected with Hinduism because that is the tradition out of which the Buddha came. Hinduism, which is the oldest continually practiced religion on earth, is connected to European paganism through the Proto-Indo-European peoples who shared an essentially common mythology that radiated out as the people migrated. It influenced Hinduism in the east and, in the west, became Celtic, Germanic, Scandinavian, Greek, and Roman paganism. The religions of the great empires of Africa all influenced each other, the traditions connecting through the continent until, culminating in Egypt, they came to have a vast influence on the Greek and Roman religions. Add to that the influences of the first and oldest religions such as those that came out of Sumer, (located in modern day Iraq), and the fertile crescent. That is how that area became the center of culture and philosophy for that part of the world. While religions native to the Americas are not directly connected to either Abrahamic or Proto-Indo-European religions, they all share reverence for their deities and a high priority set upon connecting to them and making their worship a part of daily life. Reflection and meditation, for which Buddhism and the Buddha in particular are noted, are important in all religions, whether these techniques are called meditation, prayer, devotion, or something else. Our world and the great web of religious and spiritual traditions humans have created is amazing and beautiful? Absolutely breathtaking. 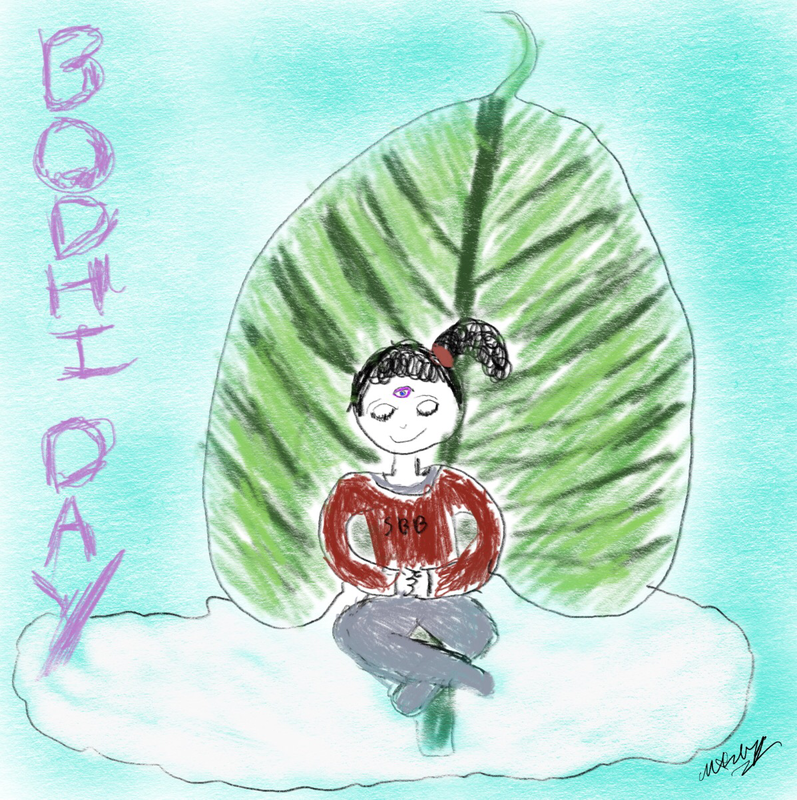 On this Bodhi Day, may your inner eyes be open and your soul expand to embrace the world in which you live—a world, at its core, of goodness and enlightenment. If you’d like to read more about Buddhism, BBC Religions covers it beautifully. Read here. This entry was posted in Buddhism, Holidays, World Religions and tagged Bodhi, Bodhi Day, Bodhi Tree, Buddhism, Pagan, Paganism, Religion, Religious Studies, Spiritual, Spirituality, World Religions. Bookmark the permalink.